The Industrial Hemp Farming Act is back -- will Congress legalize the crop? These are times of cautious but rising optimism for supporters of industrial hemp. Since 1970, all forms of Cannabis sativa L., including hemp, have been classified as a Schedule I drug under the Controlled Substances Act. Past legislative attempts to remove hemp from the CSA — six bills in the House and three in the Senate since 2005 — all died in committees without a floor vote. But the Industrial Hemp Farming Act is back for its seventh iteration in the House, this time with momentum for passage, according to a bipartisan coalition of congressional leaders and agricultural advocates. With the introduction of the Industrial Hemp Farming Act of 2017 by Kentucky Republican Rep. James Comer, Congress is closer than ever to exempting hemp plants — defined as having less than 0.3 percent psychoactive THC — from the CSA and recognizing it as an agricultural commodity, Rep. Jared Polis, D-Colo., told The Cannabist. “For the first time since I started work on this issue years ago, I’m confident that the finish line is in sight to create new opportunities in industrial hemp for Colorado farmers, processors and consumer product companies,” he said via email. 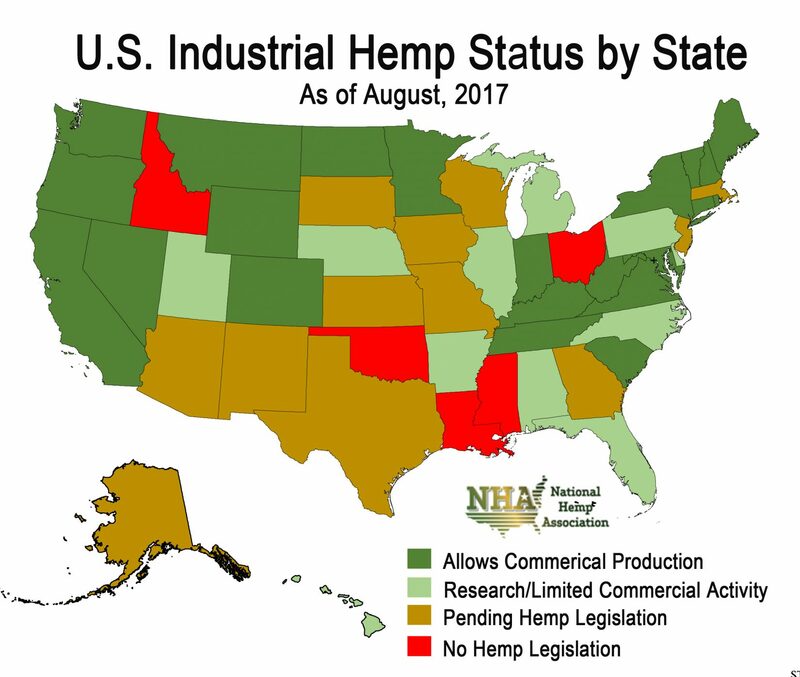 According to advocacy group National Hemp Association (NHA), only five states have no current or pending hemp laws. As the bill makes its way through Capitol Hill, the biggest challenge for industrial hemp’s proponents is to educate both lawmakers and the general public that hemp is not marijuana, NHA executive director Erica McBride told The Cannabist. Primary sponsor Comer has been advocating for the crop since he was Kentucky’s commissioner of agriculture. “By removing industrial hemp from the definition of a controlled substance, the Industrial Hemp Farming Act will finally allow for responsible, commercial production of industrial hemp without fear of violating federal law,” Comer said in a joint press release. The Blue Grass State is widely viewed as one of the leading industrial hemp producing states, and both of its senators, Republicans Mitch McConnell and Rand Paul, are strong supporters of industrial hemp, the release said. The Kentucky delegation, along with Rep. Massie, helped add language to the 2014 Farm Bill to allow further growth of industrial hemp crops in states that passed regulatory framework. Last June, Paul sent a letter to U.S. Attorney General Jeff Sessions calling on him to take a hands-off approach with banking accounts linked to farmers, research groups and other individuals or organizations associated with industrial hemp ventures. Paul is also calling on “big government” to “get out of the way” when it comes to America’s rapidly-growing industrial hemp industry. 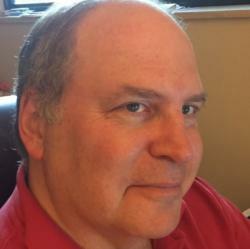 Beyond musings on “big government’ — and contrary to some dark mutterings in the industry – NHA’s McBride does not believe the federal government is out to keep industrial hemp illegal.